Total fraud!! 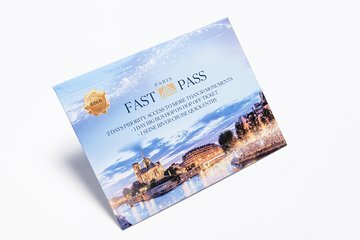 This fast pass is an ordinary museum pass!!!! You can get one anywhere in Paris in 30 seconds !! When you arrive you are placed I. The same mile long line with everyone else only difference is you don’t spend 15 minutes inside buying your ticket .Went toMusee orsay today you stand in line for an hour yes the line says reservations but it only means you have a ticket . In addition you have to trek across town your first day to a Paris travel agency to pick this thing up. You can’t take the Viator voucher to the museum to get your pass. Easy to use and great to have! We visited several museums that we may have skipped otherwise!